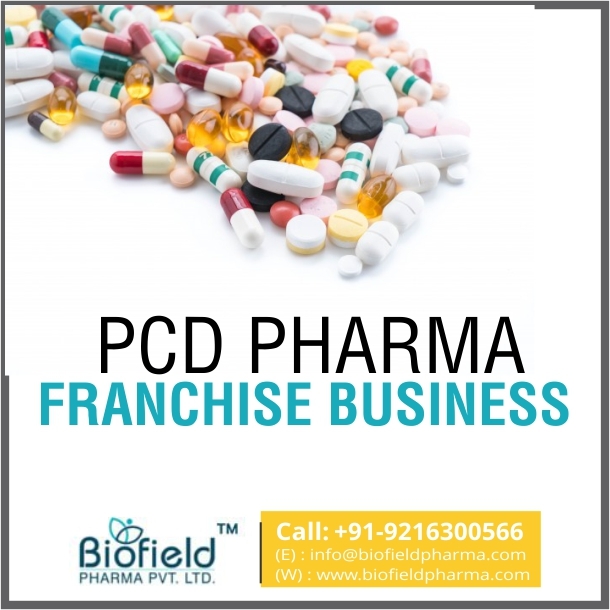 PCD Pharma Franchise in Karnataka – Top pharma franchise company’ Biofield Pharma invites people who are looking for monopoly pharma franchise for pharmaceuticals drugs in the southwestern region of India. We offer PCD pharma franchise in Karnataka for various therapeutic and specialized divisions like an antibiotic, anti-acids, gastric, multivitamins, anti-viral, anti-infective, analgesics etc covering markets like gynecology, nutraceuticals, orthopedic, pediatric, dermatology etc. The rates are genuine and you can earn a good income through it. Pharmaceuticals franchise is a growing business in the southwestern region. Karnataka has good benefit in terms of value and revenues for businessmen here. Biofield Pharma is a renowned pharma marketing service provider. Our offering of PCD pharma franchise in Karnataka covers all major places like Bangalore, Mysore, Mangalore, Davangere, Vijayapur etc. The investment exposures are very genuine to your needs. All the drugs are DCGI approved that meets all the quality control measurements. You can call us at +91-9216300566, +91-9216300166 and talk directly to our associates for more information related to PCD franchise near you. If you want, you can email your queries at info@biofieldpharma.com or fill our contact inquiry form for more details. Here you will get a good business scope, growth opportunities, multiple benefits and much more. Karnataka is a good place to start your own venture. If you are looking for the best company to work with then Biofield Pharma is the best. Our company is an ISO certified pharmaceuticals company that works for better healthcare services in India. We are fully engaged in proving genuine opportunities of pharma franchise covering all the states of India, The south-west region has good demand for our products owing to good quality and consumption. Our company is a sought-after name in Karnataka. Here you will get a wide variety of medicines. We have several logistic partners who help make our service quick and reliable. Our company has an attractive range of fine drug that is being offered for the franchise business. We have especially taken care of the quality control needs and the regularly embraced the latest trends to offer effective cost techniques. An established name for pharma marketing business, Biofield Pharma has come a long way of creating space for people who seriously want to start their own business. Our company is ISO certified with its own set of Schedule M units. Thousands of medical professionals and people have recommended our products and medicines. 250+ members are connected with our pharma marketing services PAN India. The drugs are DCGI approved and manufactured under international standards. More than 300+ drug medicines are offered by the company to its members. We hold impressive goodwill making us a trusted and reliable name in the market. Quality in the main priority. Therefore, we bring quality medicines that are approved and certified by top organizations. 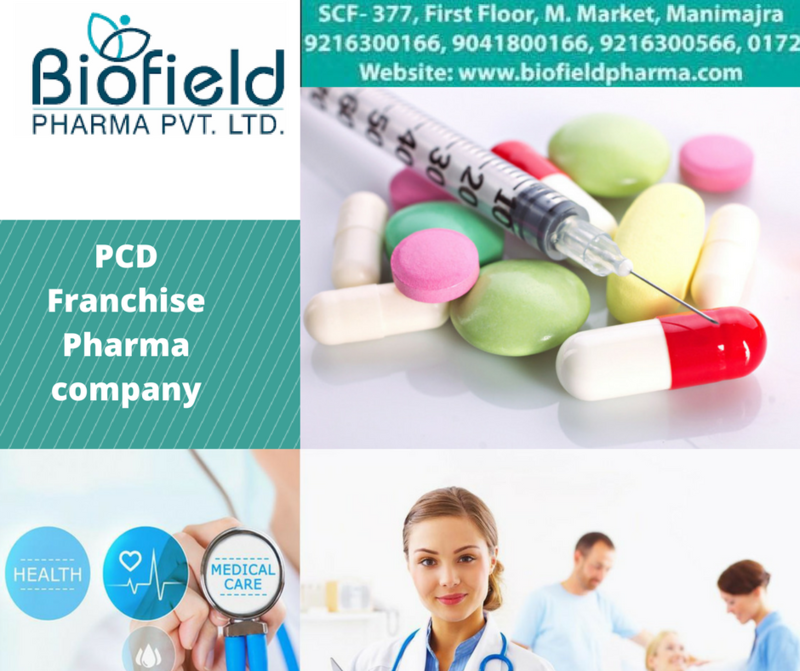 What Makes Biofield Pharma ‘The Best Pharma PCD Franchise Company? Our company has DCGI approved drugs that range from 300+ different kinds. These cover multiple segments and markets. We cover drugs dosage form like tablets, capsules, injection medicines, drops, creams, gels, caplets, softgels, syrups etc. The extensive list of drugs has been made in GMP-WHO certified units. Here, best quality control techniques and remedies have been followed diligently. Indian Medical Association guidelines have been embraced with sheer dedication. We have appointed skilled experts in our research and development team. They have helped us develop our drugs in the best ways to provide you with complete safety, efficacy, improved durability and qualitative nature of medicines. Why Consider Monopoly PCD Pharma franchise Business in Karnataka? The demand for quality medicines has increased. Many people from nearby small cities and towns travel here to get good medical facilities. Per capita income is increasing with the economy of Karnataka blooming with each year passing. With government support, people are investing more in their healthcare and medical rights. Extensive propagation of healthcare services has directly helped promote the industry here. The masses know the importance of good medicines and are willing to spend on good medicines. Being a leading Karnataka based PCD Pharma Franchise Company, Biofield Pharma offers monopoly marketing distributions across the state. We have a vast consumers base offering you a good deal in the share of success. You can contact us now and know about the potential vacancies near you. You will get promotional tools to support, marketing support, incentives and much more. We are a professional company which you can trust for better expansion of your PCD franchise business.